Digital Signage is more successful at converting footfall into sales than traditional forms of print based advertising. Your customers will not only look at digital screens almost twice as much as printed material but the digital content will also hold your customers attention for over 50% longer! We build Digital Signage systems for a wide variety of clients and operate across a range of vertical markets including retail, restaurants, automotive, finance, healthcare, education, transportation, hospitality, entertainment, exhibitions, point of sale & anything in-between! 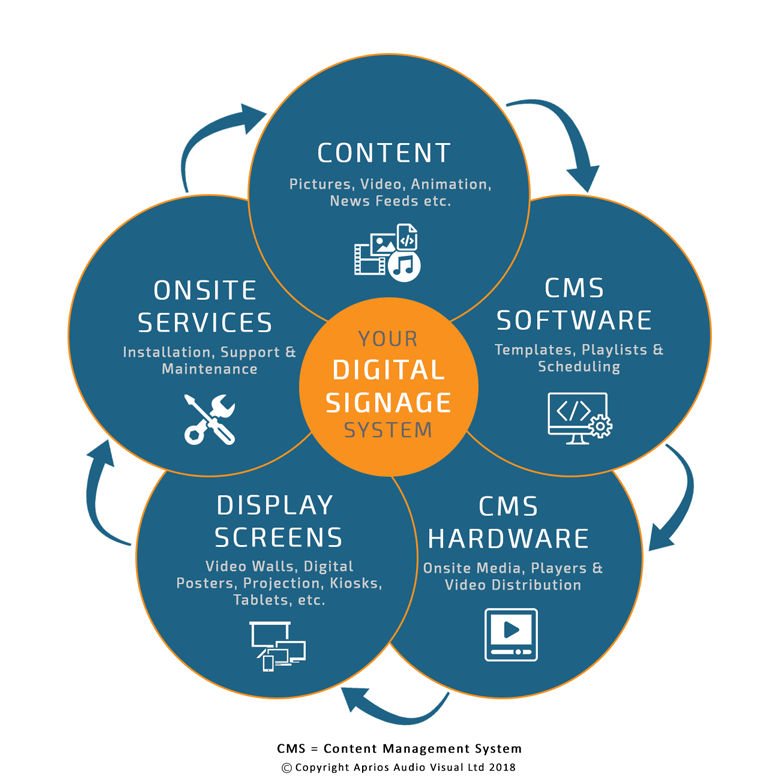 What is a Digital Signage System? To create a successful digital signage system every step requires careful consideration to ensure that your customers are seeing the right message at the right time in order to achieve the highest possible return on investment. We are experienced in building complete digital signage systems and will provide everything that is required at each stage of the process, including graphic design services to help with content. We also offer an ongoing management service whereby we can update your digital signage content and manage your entire screen network on your behalf. Whether you need a digital signage system to increase sales within your stores or to improve communication within your business in general please contact us today to see how we can help you to achieve your goals. Looking for a Bespoke Digital Signage System? We can then specify a suitable Content Management System (CMS) that will allow you to easily update your message from anywhere so that it stays fresh & relevant throughout the day, regardless of where it is being viewed or what device it is being viewed on. We not only work with the market leaders in Content Management System hardware and software, such as Scala & Brightsign, but we also have the expertise & experience to be able to tailor these systems or create entirely bespoke ones to suit your requirements. Therefore everything will always be as user friendly and reliable as possible for you. Then through a combination of professional graphic designers and experienced onsite installation engineers we bring everything together and deliver your complete digital signage system. Finally, we train your staff and make sure that we are always on hand to help with any content updates or onsite maintenance. This thorough approach means that every element of your digital signage system will always be performing at its very best and that you will always be in control of your message! Click here to learn more about Content Management Systems.